Celebrate Canada with dishes that shine. Serving up gourmet recipes, savings, and local dairy. Summer’s here, and there’s much to celebrate. We’re welcoming the long-awaited warm weather, and Canada’s 150th birthday. 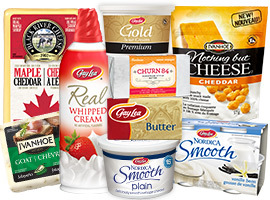 As a co-operative with members on more than 1,300 dairy farms and more than 4,000 members in total, Gay Lea Foods is 100% Canadian owned and operated. We’re proud to offer quality, local dairy products, and strengthen the communities we operate in. With that, we wish you all a wonderful summer, and the very best in our country’s milestone year. Celebrate Canada’s 150th anniversary with something quintessentially Canadian: medium-aged artisanal cheddar cheese, flavoured with real Prince Edward County Maple Syrup. Two county favourites combine to make a local cheese that is out of this world. 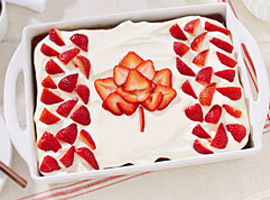 With a lemonade cake base, this delicious Canada Day cake is the perfect way to welcome the warm weather. Fresh, homegrown berries and plenty of local dairy make it unmistakably Canadian. The only thing left to add is a sparkler to mark the nation’s birthday. Eating outside is one of the great pleasures of summer. Head to the grill for these gourmet Black River Burgers. 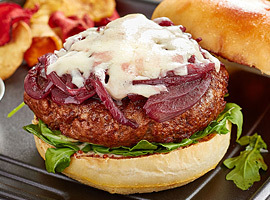 Inspired by Prince Edward County's excellent viniculture, these cheesy burgers can be made three ways and feature an onion 'jam' topping made with red wine, white wine or cider. 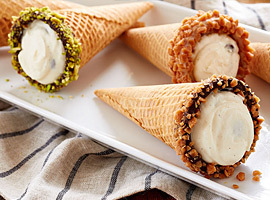 You scream, I scream, we all scream for Instant Cannoli Cones. Sugar cones make a crunchy shortcut for cannoli shells in this fun summer dessert. The vanilla chocolate chip filling will have everyone screaming for more. The traditions we all enjoy during the summer - barbecues, cottaging, picnics and outdoor festivals - will take on a special significance this year as we ring in Canada's 150th birthday. 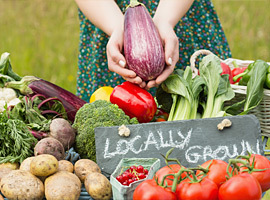 Given the central role that food plays in our summertime activities, what better way to support our fellow Canadians and the bounty that summertime brings than by buying and eating local homegrown products? An udder year. An udder game. 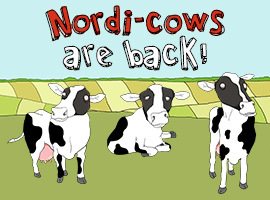 The Nordi-cows contest is on, and it's better than ever. There's a new cow in the barnyard that you can dress up. Or choose one of the returning cows for more bovine fun. The game runs until July 7, so there's still time to win prizes. Milk this opportunity! 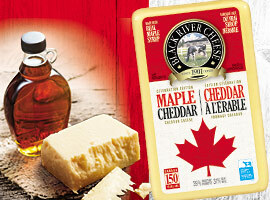 Enjoy $1 Off any of our locally-produced dairy products. Happy Canada Day!